Grandmothers strive to be a positive force in their families, make a difference in the lives of their loved ones in the (relatively little) time we have to spend with them here on earth. Grandmothers also, perhaps even more so, hope to make a difference in the loved ones themselves — their character, personality, person — a legacy that lives on long after Grandma's gone. 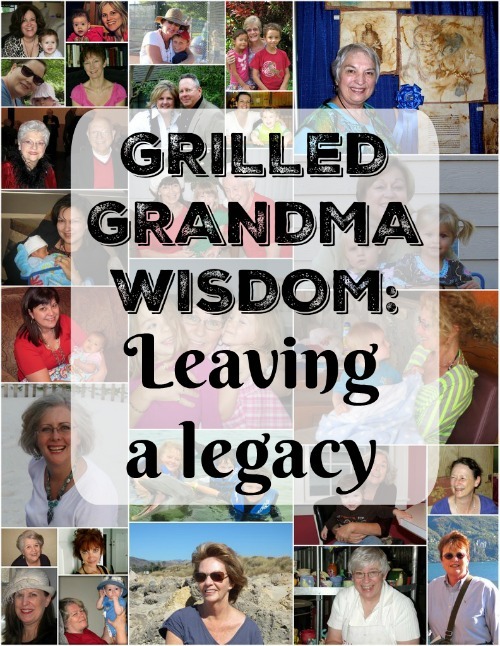 I always ask Grilled Grandmas What do you most want to pass along to your grandchildren? Following are some of their answers. For more wisdom and wit from these and other grandmothers, check out the Grilled Grandma Archives. What do you most want to leave your grandchildren?